Why is the Cozumel Carnival Jeep Tour a must-do or Cruisers? Situated about 30 miles from the coast, the exotic island of Cozumel is the largest island in Mexico. The island is located close to the Yucatan Peninsula in one of the most beautiful parts of the Caribbean Sea. The impressive natural beauty of this favorite holiday will make you want to come back here again and again. Cozumel is known for many things like amazing sandy beaches, excellent snorkeling and diving spots, dense untouched jungles where you can find beautiful examples of animals and plants including deer, parrots, lizards, and macaws. Even though Cozumel Island covers an area of just 500 km2, this island will never fail to surprise also if you have visited it before. 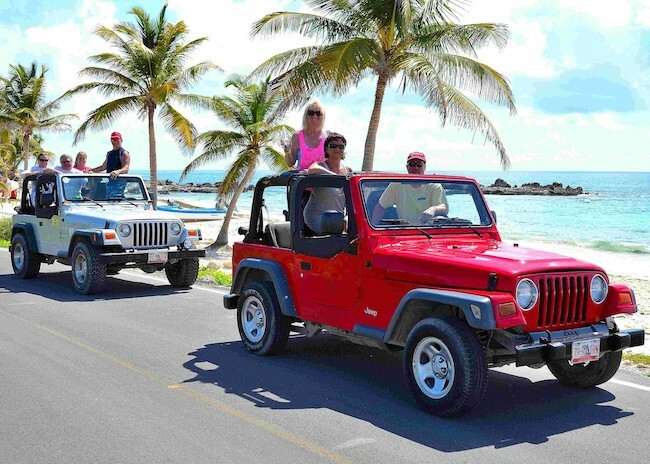 One of the best ways to explore Cozumel Island is to use a Cozumel jeep tour provided by a reputable tour operator. There are specially designed Cozumel Jeep Tours for Carnival cruisers as well as other cruise lines. What is the best Jeep Tour for Carnival Cruisers visiting Cozumel? If you do some research, you will find out that there are many different Cozumel Jeep Tours for Carnival cruisers. Not all of these tours are the same, and some of them are better than the others. The Cozumel Private Jeep Tours provided by My Tours are much more than simple trips around the island. With an awesome jeep excursion like this, carnival cruisers can drive the vehicles on their own or leave this activity to the experienced driver and guide. In any case, you will get support from a qualified guide that knows Cozumel Island inside and out. Keep in mind that we are talking about new Wrangler Jeeps that have automatic transmission. What are the highlights of our Jeep and Snorkel Tour? One of the main highlights of this Cozumel Jeep excursion is the snorkeling tour part. The tour comes with every piece of snorkeling equipment you will need for a perfect snorkeling experience. The meeting point is just across the street from the Cruise Pier making things a lot easier and simpler. It’s easy for the cruisers to schedule the tour at any time that suits them. On this tour, travelers will use the private beach club for great shore snorkeling. They will also stop at Punta Sur Park an impressive place with beaches, Mayan ruins, some crocodile habitats and a lighthouse that provides stunning views. The tour also includes a stop at the Punta Morena beach Club and a Tequila Tour used for tequila tasting. This tour lasts for about five and a half hours which is more than enough to take a glimpse at some of the best things that you can see and do in Cozumel Island. These are just some of the reasons why My Tours is the best and official Jeep Tour for Carnival cruisers and other cruise lines. 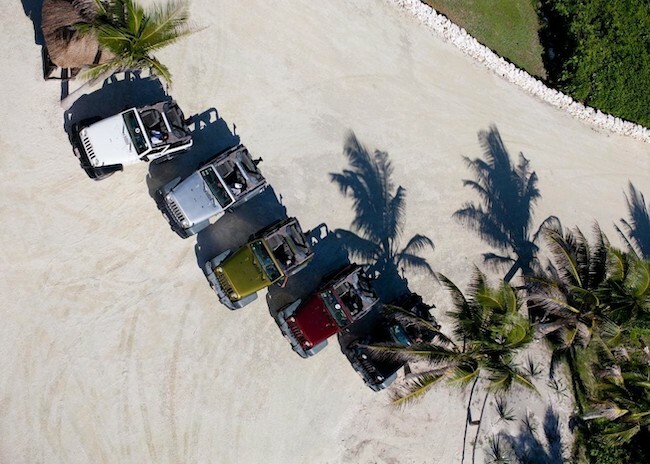 How to book a Jeep Tour in Cozumel near the Cruise Port? The best way to book a Jeep Tour in Cozumel near the Cruise Port is online. Visit our website and select the date and the number of passengers and that’s it.